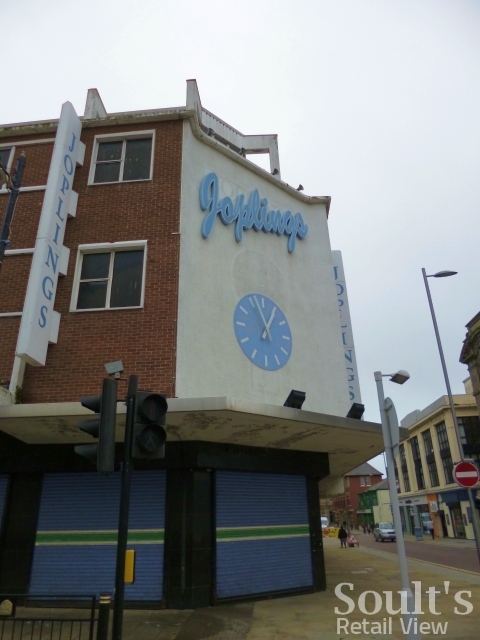 Sunderland’s ex-Peacocks unit in The Bridges is finally to be reoccupied, after more than 18 months of vacancy. 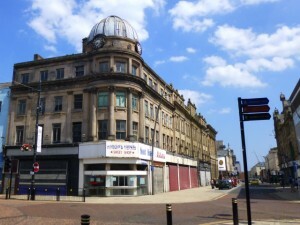 The prominent Market Square store was one of ten North East branches that closed following Edinburgh Woollen Mill’s rescue of 400 Peacocks stores in February last year. 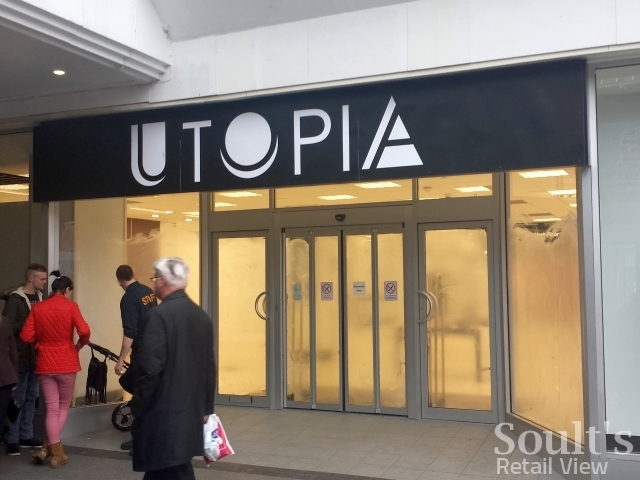 Now, after months of posters promising a new retailer ‘coming soon’, I noticed today that work is underway inside on a new store to be branded Utopia. 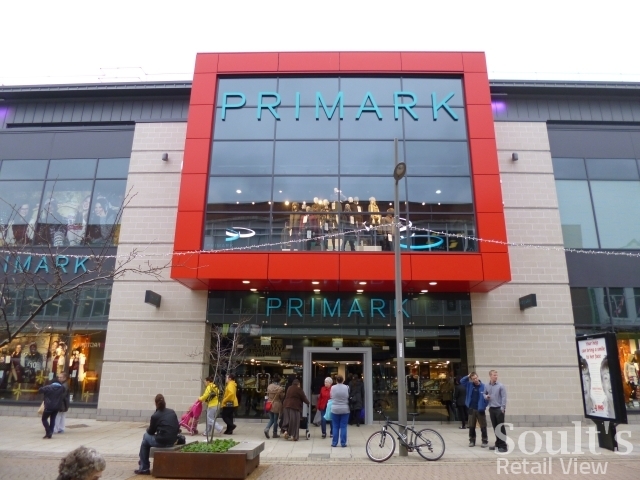 It’s not a name or logo that I recognise, but its current job advert describes it as “a ladieswear fashion clothing and accessories store”. 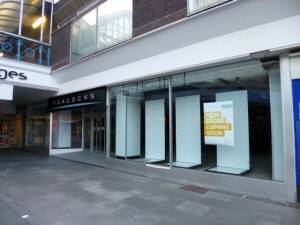 The new sign – stuck over the old Peacocks one – is clearly temporary, though it’s not clear whether the store itself is just a pre-Christmas pop-up; certainly, there’s nothing in the job description to suggest that the roles are anything other than permanent. Still, short-term or not, it’s good to see one of The Bridge’s most visible units occupied again, particularly as the successful Land Securities-owned centre routinely has very few voids. All it needs now is for something positive to happen to Sunderland’s problematic ex-Joplings and ex-Primark sites: the former vacant since Vergo Retail’s collapse in 2010, and the latter empty since Primark relocated from the ex-Woolworths site to an impressive purpose-built store in The Bridges a year ago. 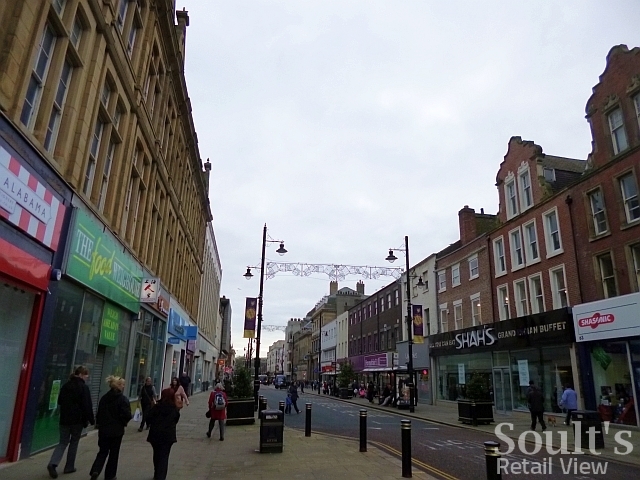 While The Bridges thrives, it’s impossible not to notice the slow decline of the more traditional retail thoroughfares that surround it: High Street West, where BHS and M&S remain crucial anchors among a worrying number of voids; Fawcett Street, which once housed Woolworths and Binns, and is now anchored by a large and busy Wilkinson; and John Street, which was home to Joplings. All those streets feature their fare share of ugly buildings somewhat unbecoming of a modern city, yet even Sunderland’s beautiful buildings – of which there are surprisingly many – often have jarring shopfronts and an unloved feel that I’m never so aware of in Newcastle or Middlesbrough. 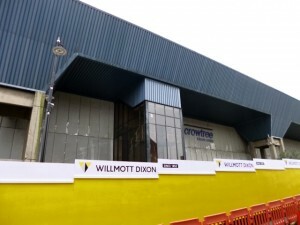 Looking ahead, the imbalance in fortunes between The Bridges and the rest of Sunderland city centre is likely to become even more marked if, as expected, the site of the Crowtree Leisure Centre – which is currently being demolished – becomes some form of retail/leisure extension to the existing mall. Nearby, work to create a new public space – Magistrates Square, close to the new Primark, Crowtree site and superb Empire Theatre – will, based on the images revealed this week, provide the city with some public realm to be proud of, though the square will lack much sense of enclosure until the adjoining long-empty Vaux brewery site is developed. 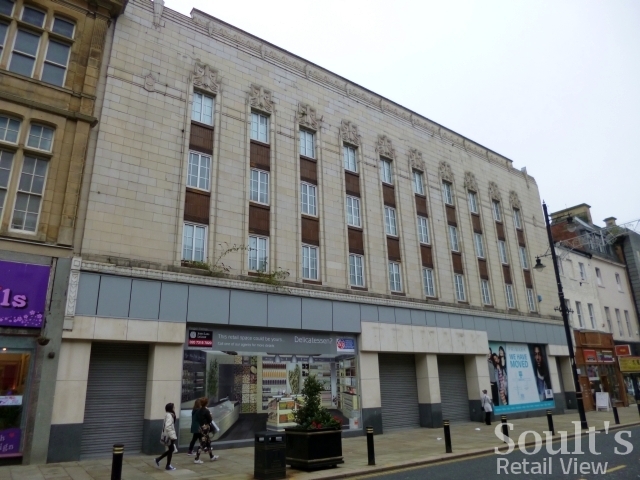 Often choked with buses, and with shopfronts barely in keeping with the fine frontages above, perhaps it’s time for the imposing but under-appreciated Fawcett Street – once the city’s grandest retail drag – to be afforded similar attention? 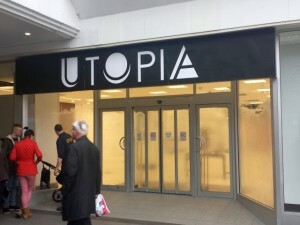 At present, it offers a rather unprepossessing approach to the city’s excellent Winter Garden and Museum. 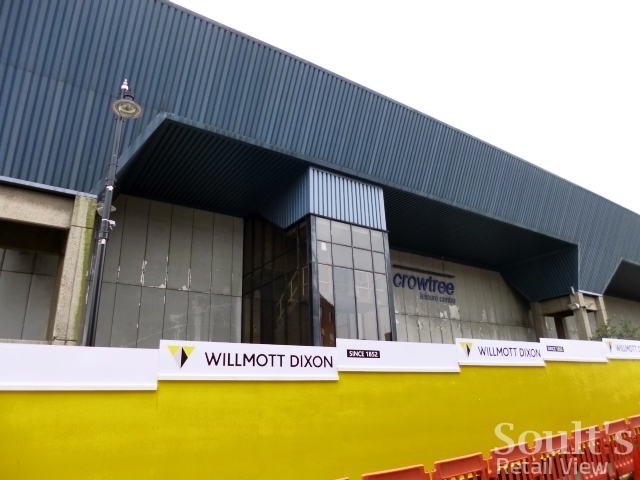 Fawcett Street’s future might not be retail-led, of course. 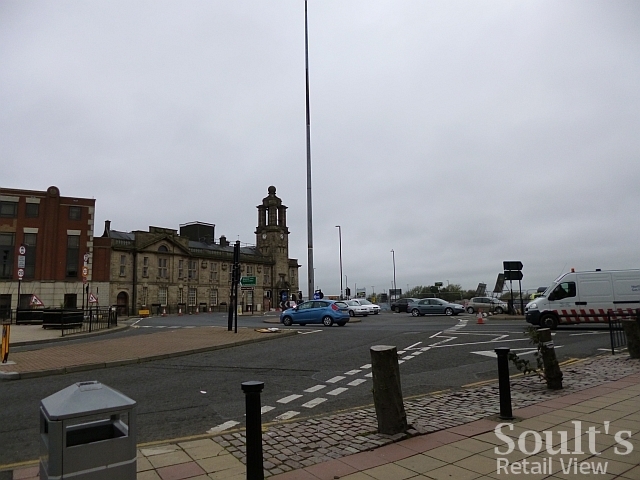 With the ongoing growth of The Bridges, coupled with inevitable expansion of out-of-town and online retail, it’s barely surprising that Sunderland city centre should have more retail space – of the wrong kind or in the wrong places – than it truly needs. However, with the right vision and investment, there’s no reason why Fawcett Street couldn’t thrive as a mixed-use location for retail and leisure, with housing – for students or otherwise – bringing life to the upper floors and much-needed footfall to what could be an appealing, pedestrian-friendly boulevard. The success of The Bridges is, of course, to be celebrated, but the challenge now for Sunderland – and for its recently approved BID – is to spread the investment a bit wider across a city centre that could use some love. That imbalance is evident in Leicester too since Highcross/The Shires expanded – Gallowtree Gate full of temporary lets and pound shops where once there were the big names, much of the high street full of voids with a big local toy shop (Dominoes) the latest retailer there to collapse.